Unfortunately, there are merchants out there that pose a risk for payments and e-commerce. The products they choose to sell and/or how they go about selling those products could cause harm to consumers if used incorrectly. This is one of the many reasons why the nutraceutical industry has been categorized as high risk. For some time now, payment service providers have known to keep an eye out for rogue merchants selling steroids or SARMs for use in bodybuilding. However, with new products on the market constantly, it can be hard to keep up with the next big thing being used by consumers (in the wrong way). Now, providers need to be on the lookout for merchants selling synthol. Synthol is a potentially dangerous injectable masquerading as a harmless topical. 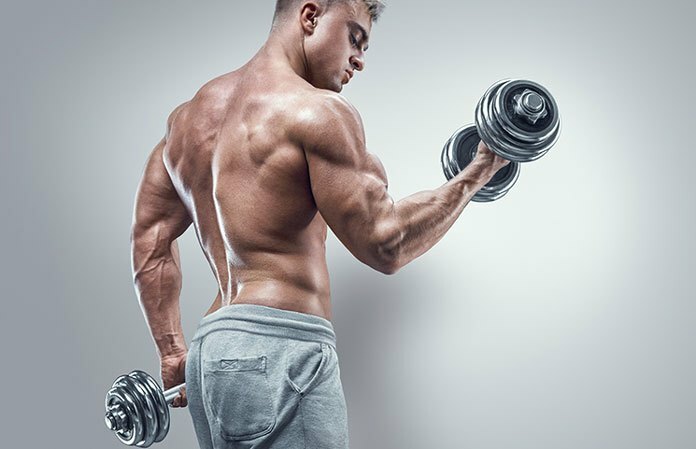 While it’s true this product and other products like it have been around for years, there has been a significant increase in the number of merchants selling this product used by bodybuilders to boost the appearance of their muscles. So, what is synthol? The National Institutes of Health says that synthol typically consists of 85 percent medium-chain triglyceride oils (a fatty acid), 7.5 percent lidocaine (a painkiller), and 7.5 percent benzyl alcohol (a sterilizer). Synthol fall into a category of products called site enhancement oils (SEOs). Typically, these products are marketed online as “posing oil” to be used topically. Because of this, understandably, they frequently pass under the radar of PSPs and e-commerce platforms. Why are Bodybuilders Using Synthol? Synthol and other SEOs (paraffin, sesame, walnut oils, etc.) are often purchased for use as dermal fillers to create artificial muscle mass. When the individual injects it, the oil expands and hardens inside the body; this results in a rocklike texture and appearance. Not without complications, it must be drained or removed surgically in most cases. Synthol has also been associated with more severe side effects, documented by the NIH: fibrosis, heart attack, cerebral stroke, nerve damage, cysts, infection, blockage of arteries, etc. Any merchants selling synthol should raise an instant red flag. Also keep an eye out for product descriptions that give away the real intent of the product for the consumer, like “discreet shipping, “painless technology”, “pharmaceutical-grade ingredients”, etc. Need more information on which payment processors are safe and which merchants you should work with? Best Payment Providers has compiled a long list of the best merchant processors, information on secure trading and more. Author Bio: Payment industry expert Taylor Cole is a passionate merchant account expert who understands the complicated world of credit card processing. His understanding of the industry and secure trading has helped thousands of business owners save money and time.